Moving is a big job that takes a lot of effort, and it can easily seem overwhelming to homeowners who aren’t ready for it. But just how does someone get all of their possessions ready to move to a new home without getting stressed out? Having a plan of attack can be extremely helpful to have in mind when getting ready to move, so here are five essential steps all homeowners should use when packing up for the big move. While it might seem a little premature to start packing before the home is sold, it really isn’t. Packing away excess things is a good way to cut down on how much work there will be later on when it is actually time to pack. And not only that, packing can help remove clutter from the home, which can be helpful when it comes time for home showings because it means a neater home to walk through, which can make it more appealing to buyers. When packing boxes, be sure to have a marker on hand. Labeling boxes with what room it belongs in and what sort of things are in it can be helpful both for the homeowner and the movers. The movers will be able to make sure everything is put in the right place, and the homeowner won’t have to go looking through dozens of boxes looking for one certain thing they need. An easy way to break down the job of packing up a home is to break it down into different rooms. It’s much less stressful to look at just one room at a time rather than an entire home’s worth of possessions to pack. When deciding a place to start, consider a room that doesn’t see much traffic or doesn’t have many things that are used regularly, such as a guest bedroom or closet. Not only does this help ensure that everyday needs aren’t being packed away to early, but this sort of dividing and conquering can help make homeowners feel like they’re making progress. Many people have a tendency to collect things without realizing it, and while packing, it’s a good time to look through everything and decide what is needed and what isn’t. Old clothes and furniture will take up a lot of space in boxes and the moving trucks, so it’s important to sort through everything and decide what to keep and what to give away. For homeowners concerned about their things going into a landfill, consider donating things like clothes to a local charity. When packing, it can seem like a good idea to use large boxes because that means fewer boxes to buy and keep track of. However, large boxes get heavy quickly, which can make them unwieldy or even dangerous to handle. Instead of large boxes, try packing things into smaller boxes and luggage. Luggage has the added bonus of being designed with transportation in mind, so it’d be a waste not to use it while moving. And small boxes have a much lower chance of getting to be too much to carry, so using them will help movers keep safe and help prevent unwanted drops. Packing can be stressful, but if the Leander homeowner has a plan and sticks to it, it doesn’t have to be. 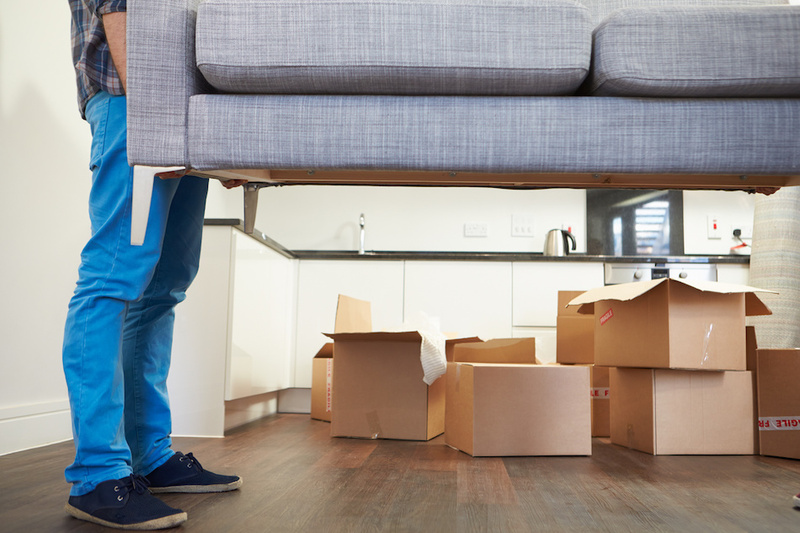 By keeping these five strategies in mind, homeowners can help make sure all their possessions get packed away before the move date. Meta description: Learn more about five different strategies homeowners can use to help make their move as stress-free as possible.